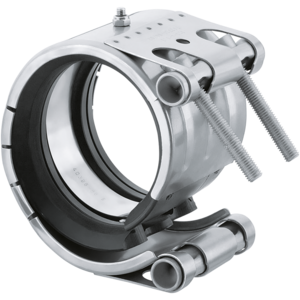 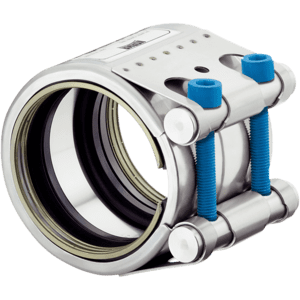 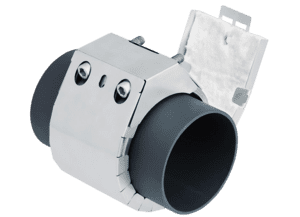 NORMACONNECT® COMBI GRIP/COMBI GRIP E axial restraint pipe couplings are used to connect plastic pipes with metal pipes. 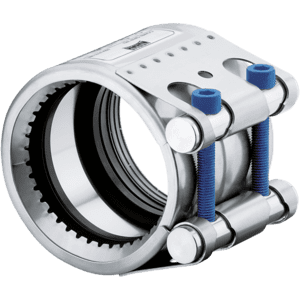 For the plastic pipe the coupling features on one side a special anchoring ring with rows of flat teeth which are pressed into the pipe surface without damaging the material. 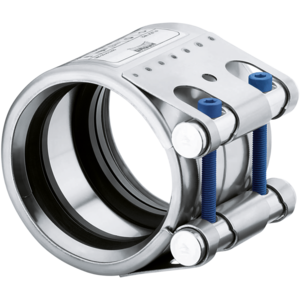 At the same time the force applied is distributed evenly across the pipe surface.For the metal pipe the coupling features on the other side an anchoring ring with conically stamped teeth which grip into the pipe surface. 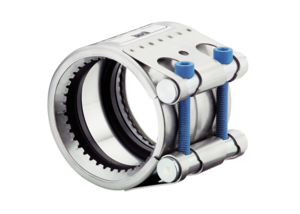 Due to the special design of the anchoring ring the coupling can withstand even high vibration loads.